With a career that includes Deep Purple, Rainbow and Blackmore's Night, guitar hero Ritchie Blackmore is one of the most influential players the Rock world has ever produced. He is also one of the most enigmatic, known for tantrums on stage, refusing encores, improvising or altering things on a whim and changing band members frequently in a bid to keep things fresh. One thing he hasn't done a great deal of is talking, only doing interviews sporadically and seldom getting involved in putting his side across when a disgruntled former employee has something to say. 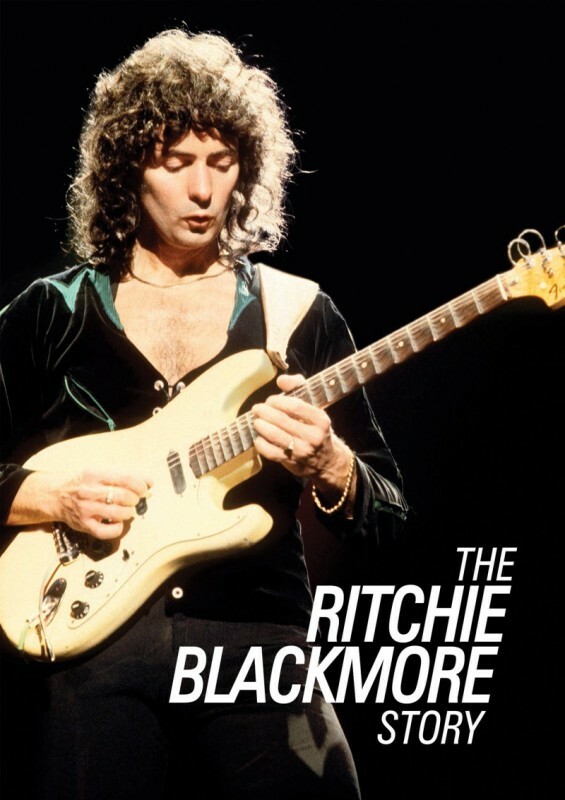 Filmed prior to the news that Blackmore will be once again playing some Rock shows this year with his latest choice of singer Ronnie Romero (Lords Of Black), this DVD sees the guitarist at his most candid, welcoming the viewer into his world and offering insight like never before. The film is packed with vintage images and footage from Blackmore's own collection, and his stories are interspersed with clips from many of his former colleagues and peers. With brand new contributions from Brian May, Glenn Hughes, Lars Ulrich, Steve Lukather, Joe Satriani, David Coverdale, Gene Simmons, Joe Lynn Turner, Phil Collen, Steve Vai, Graham Bonnet, Ian Anderson and even archival footage of the late Jon Lord, that list of people alone tells you how important Blackmore's role in Rock has been. Later joined by his wife Candice Night, who also offers views on what Blackmore the man is really like, you can't help but come away with the notion that while the mysterious guitarist is certainly eccentric, he has also been somewhat misrepresented over the years as moody, miserable, awkward and volatile. All those elements are there, but his versions of events, particularly about Ronnie James Dio's departure from Rainbow, make you think twice about all the things you've read and heard over the years. If you are a fan of any period of Blackmore's work you will find this film interesting, and if you're a fan of all eras of his recorded output like I am, it's utterly essential viewing. It's enlightening, interesting, humourous and very well put together. Even the bonus content is worth checking out as there are some Ritchie Blackmore stories which didn't make the finished film that are well worth your time. I won't spoil the anecdotes, do yourself a favour and watch the DVD. You won't regret it.